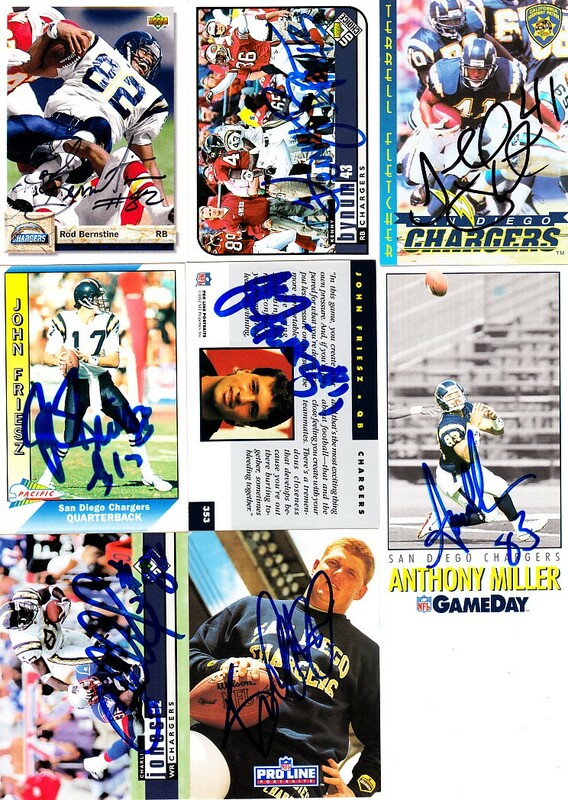 Lot of 8 San Diego Chargers autographed football cards: Rod Bernstine (creased), Kenny Bynum, Terrell Fletcher, John Friesz (2 different), Charlie Jones, Billy Joe Tolliver and Anthony Miller. Obtained in person, with certificate of authenticity from AutographsForSale.com. ONLY ONE LOT AVAILABLE FOR SALE.